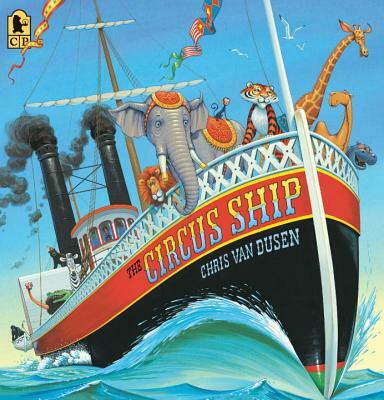 Chris Van Dusen is the illustrator of the Mercy Watson books by Kate DiCamillo. He wrote and illustrated IF I BUILT A CAR, an E.B. White Read Aloud Award Winner. He lives in Maine. The verse is sprightly, but the pictures are the true stunners. Bright, lampooning gouaches (familiar from the Mercy Watson series) and dizzying perspective perfectly suit this picaresque tale...Children will pore over panoramic spreads that invite them to find each of the 15 animals and celebrate a denouement that serves up Mr. Paine's just deserts. Splendid!